For all round value, roll-ups don’t come any better than this! The stand has a width of 800mm. The telescopic pole is extendable between 1700mm and 2310mm. 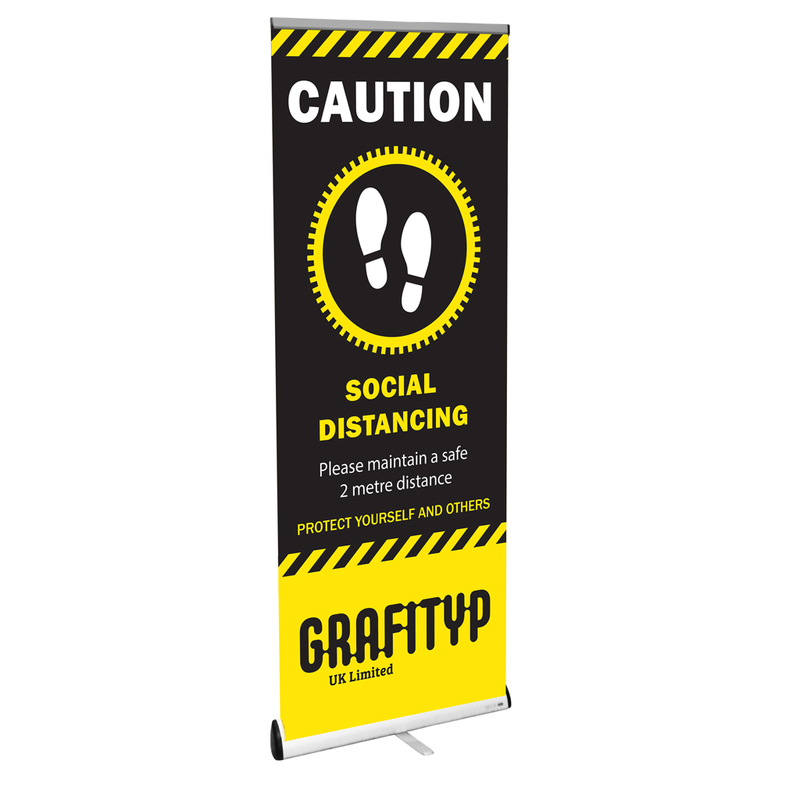 • Single sided roll-up for interchangeable banners. • Top ‘clamp rail’ and bottom Velcro strip makes banner installation and update a simple process. • Telescopic pole for 1700 – 2310mm overall height adjustment. • Stylish silver anodised aluminium casing with black ABS end caps and pole fittings – tough and hard wearing! • Central stylised chrome foot. • Premium padded carry case included with adjustable carry strap. For all round value, roll-ups don’t come any better than this! The stand has a width of 800mm. 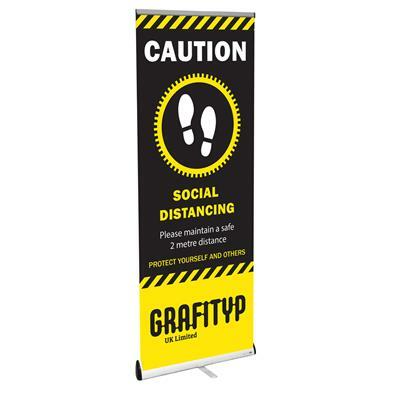 The telescopic pole is extendable between 1700mm and 2310mm.